A SECURITY GUARD WAS stabbed in the leg and sprayed in the face with an unknown substance at a shopping centre in Dublin last night. 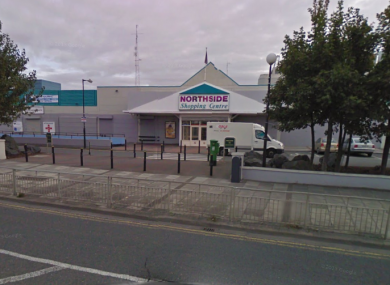 The incident happened at Northside Shopping Centre in Coolock at about 9.10 pm when the man was assaulted. The security guard, who is in his 20s, was taken to nearby Beaumont Hospital and was treated for his injuries which are not life threatening. The incident is being investigated by gardaí at Coolock garda station who are appealing for witnesses. Email “Dublin security guard stabbed in the leg and sprayed in the face”. Feedback on “Dublin security guard stabbed in the leg and sprayed in the face”.